Two minutes. It 's time it takes from the Piazzetta of Capri to get to Villa Silia. 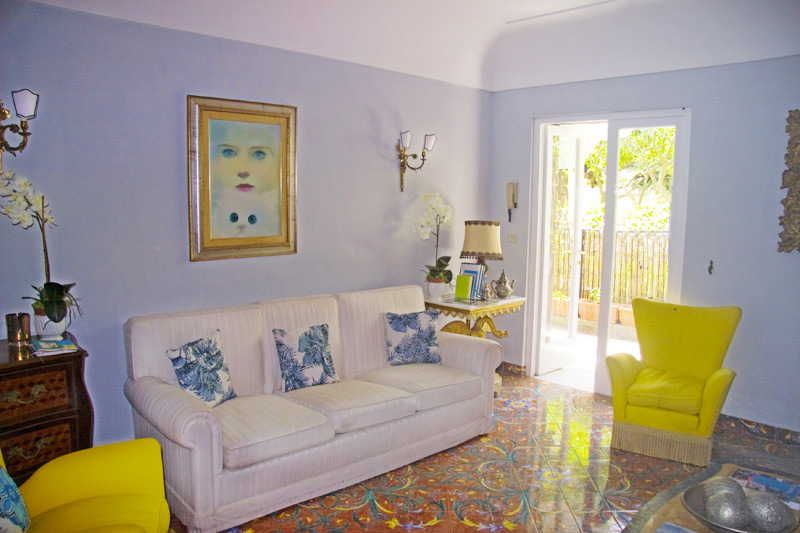 Spending your holiday at Villa Capri Silia, in fact, means to live in the heart of the 'island. The Gardens of Augustus, the Certosa di San Giacomo, Via Krupp, but also insulate the luxurious shopping streets, restaurants, bars, nightclubs are all virtually "from home". Not to mention that the Piazzetta is the terminus of the island connections: taxi and bus to reach the beaches of Capri and the funicular railway to the port of Marina Grande. Facilities for each apartment: Air conditioning, Internet connection, satellite TV, soundproof windows. Miscellaneous: Linens, Washer dryer, small pets allowed. On request: Reception at the airport, assistance and garage for those arriving by car, private transfers, island tour by boat, excursions and guided tours, breakfast basket. 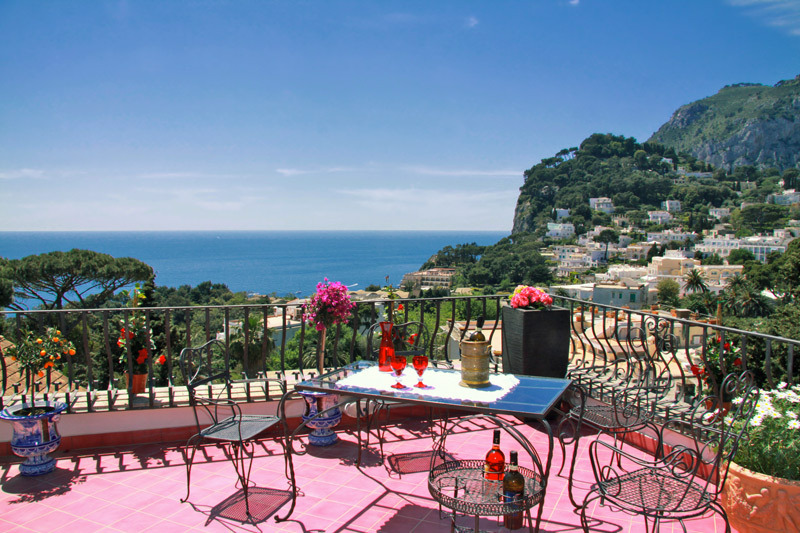 A villa in the historic center of Capri with large terraces overlooking the sea is already a good reason to go here Silia for a holiday in Capri . 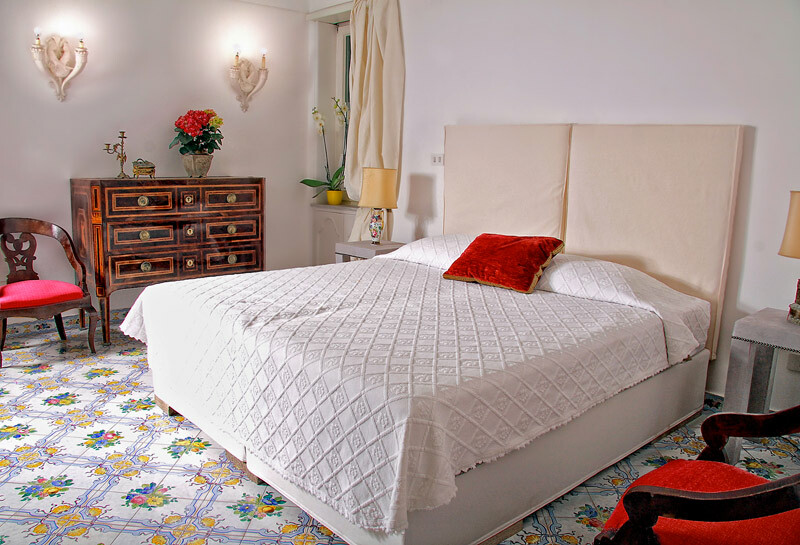 Then add the elegance of a Capri-style and comfort of the best hotels of Capri and you have the holiday you have always dreamed. 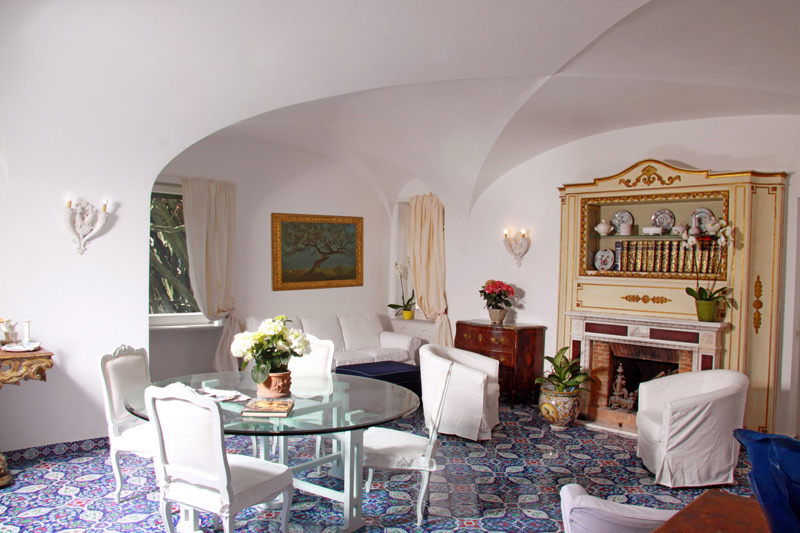 A comfortable villa which manages to combine the intimacy of home with the charming atmosphere of Capri for 60 years. 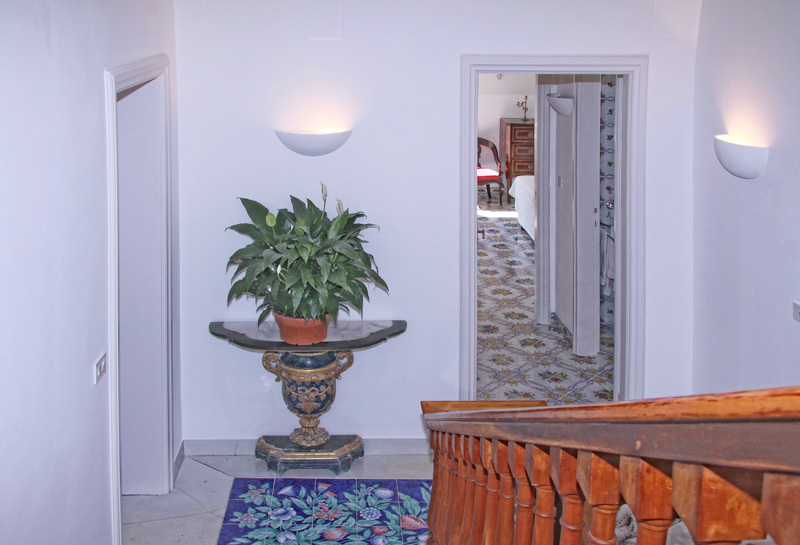 A large white marble staircase leads to the three apartments : "Paola", "Nino", "Sunrise". 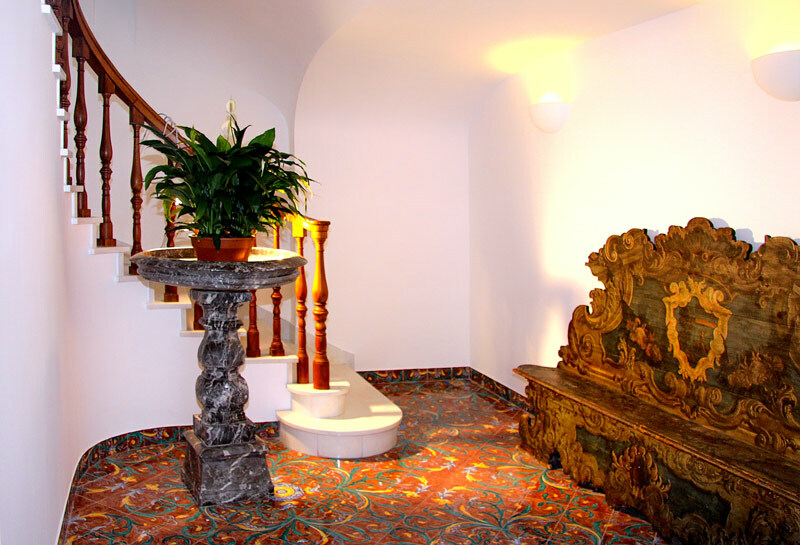 The three houses wide and full of light have preserved the typical elements of Caprese made ​​up of arches, vaults, fine stucco and tiled floors, hand-painted Vietri's famous school, while the interior reveals a refined classical taste ranging from decorations to paintings, with precious antique furnishings. Each apartment is different and reserves a welcome surprise. 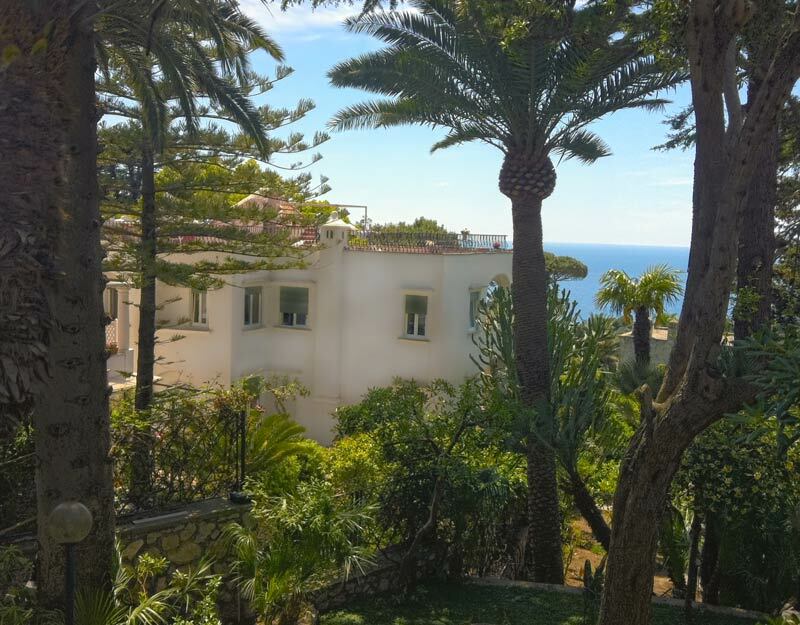 There 's apartment with roof garden (and barbecue) with a panoramic view stretching from the center of Capri to the sea, one with an elegant living room with fireplace, one with a wood stove in the kitchen and even one with a small garden. 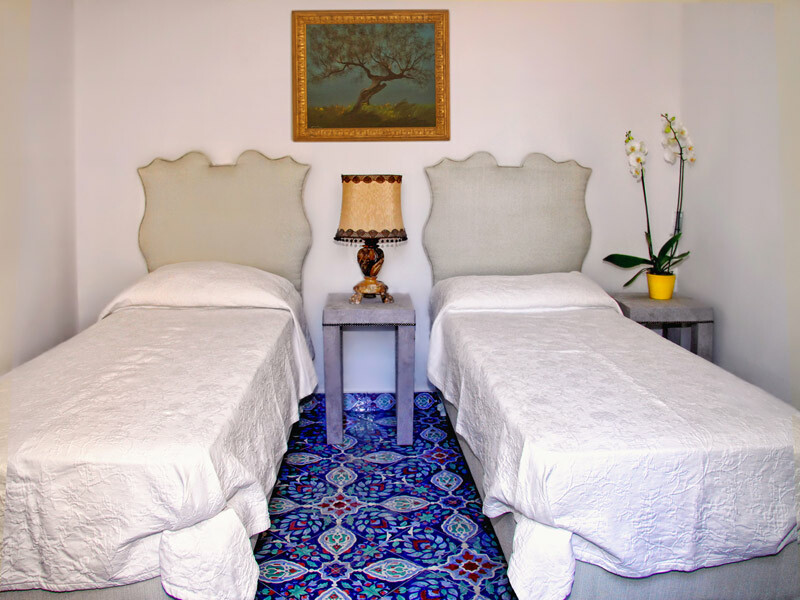 The apartments all have two bedrooms and can accommodate from 4 to 6 people. 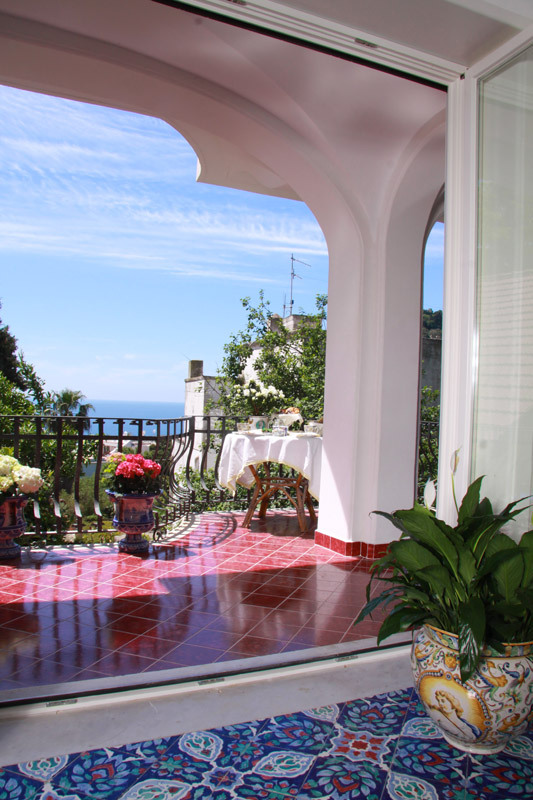 A stay at Villa means, above all, enjoy its splendid terraces. 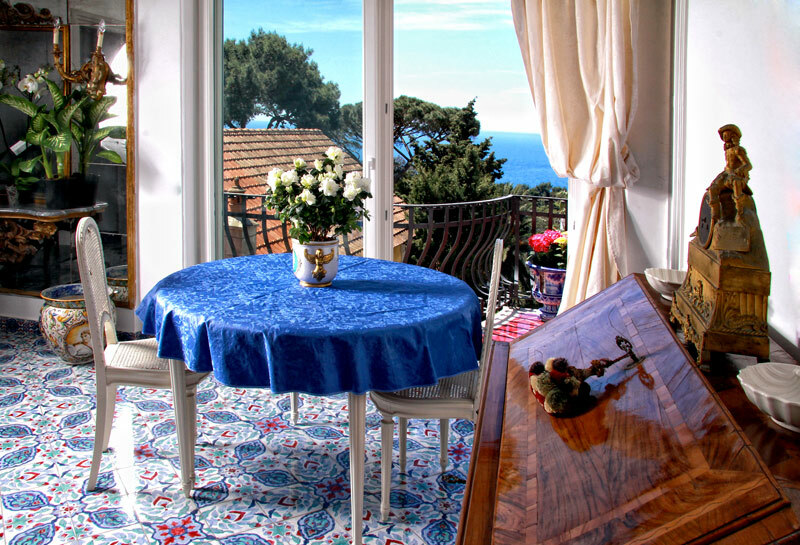 Here, in the morning, we meet for breakfast and during the day can be transformed into outdoor dining room or solarium. But it is especially in the evening, perhaps after a long day at the beach, you can enjoy the priceless silence of this house and relax in the warm summer evenings admiring the stunning views of the sea. 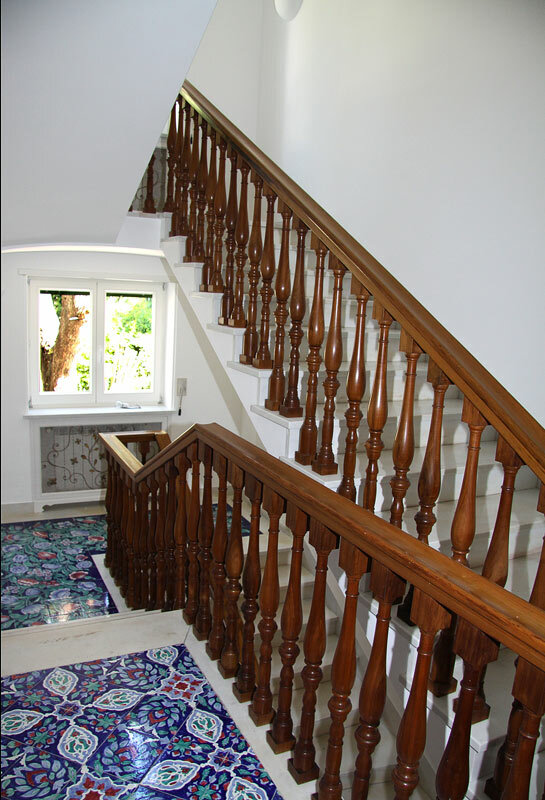 Although the villa is not a hotel, courtesy and helpfulness are those of a real concierge. Anytime you can ask for services ranging from transfers to private excursions, reception at Naples airport assistance for those traveling by car, from booking the best spas unmissable island boat trip around the island of Capri and the Amalfi Coast aboard a luxury cruiser. Paola: for 4/6 persons, ground floor. Description: apartment less scenic than the other two, but it compensates with an outdoor area and greater input from the famous Via Tragara . Even this has two double bedrooms with bathroom, living room with fireplace, kitchen and even up the wood stove. Also here the lounge has a sofa bed for additional guests. The apartment is 90 m² on the roof terrace of 90 m² and more, Each bedroom has a bathroom opposite the room and king size beds. Nino: apartment for 4 people, second floor. Description: two sleeping areas each composed of double bedroom with balcony, bathroom and dressing room, a kitchen, a bathroom and living room with balcony with beautiful views. 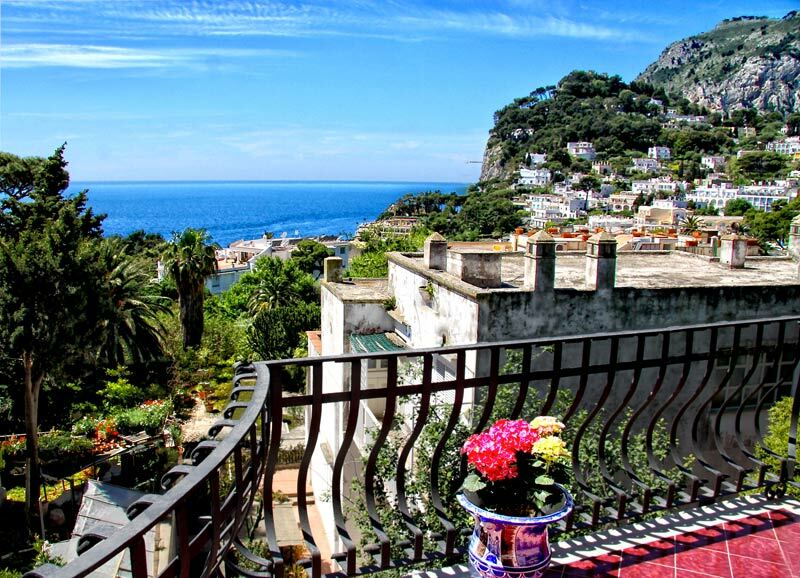 The highlight of the villa is the panoramic terrace which is super pertaining to this apartment. In fact, the panoramic roof terrace is furnished and equipped the best. 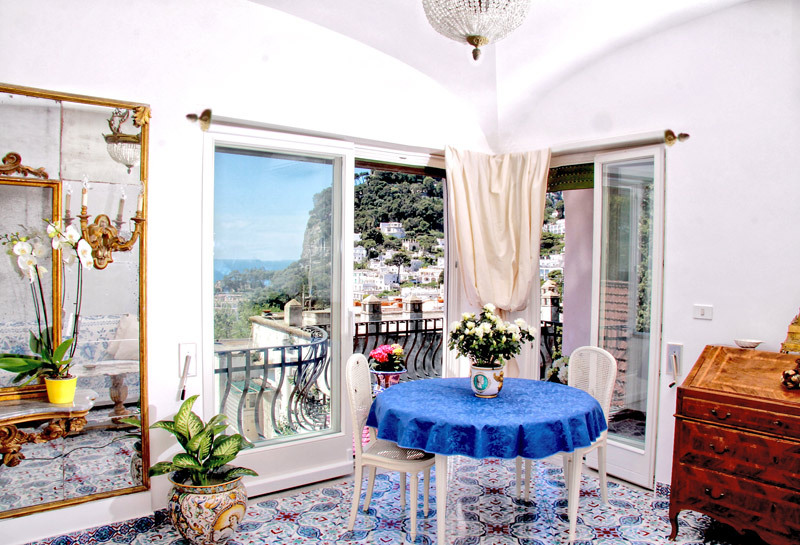 Great to start the day with a breakfast, luxury solarium for sunbathing during the day, and wonderful scenery to enjoy a beautiful candlelit dinner under the stars of ' summer Capri. The lounge has a sofa bed to accommodate additional guests. 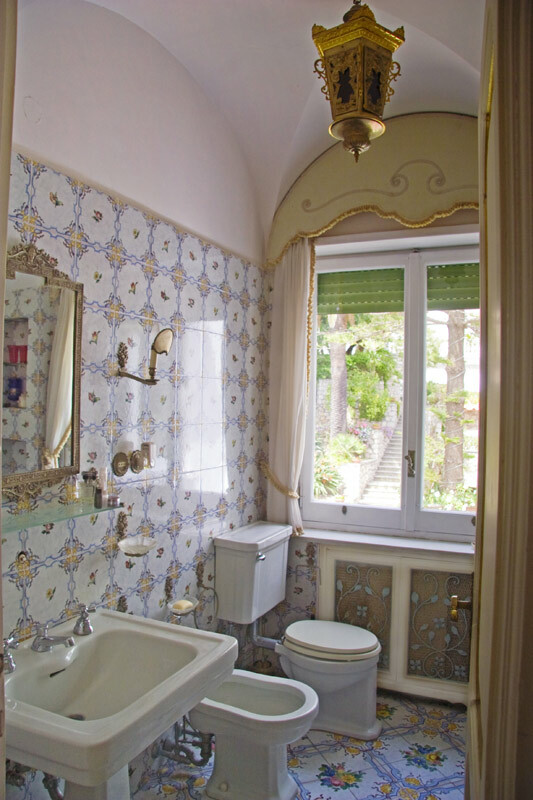 L 'apartment is 90 m² on the roof terrace of 90 m² and more, each bedroom has a bath front bedroom and king size beds. Alba: apartment: 4 people + 1, first floor. Description: This apartment has a strong piece in 'large lounge with balcony and sea view, fireplace and glass table round. 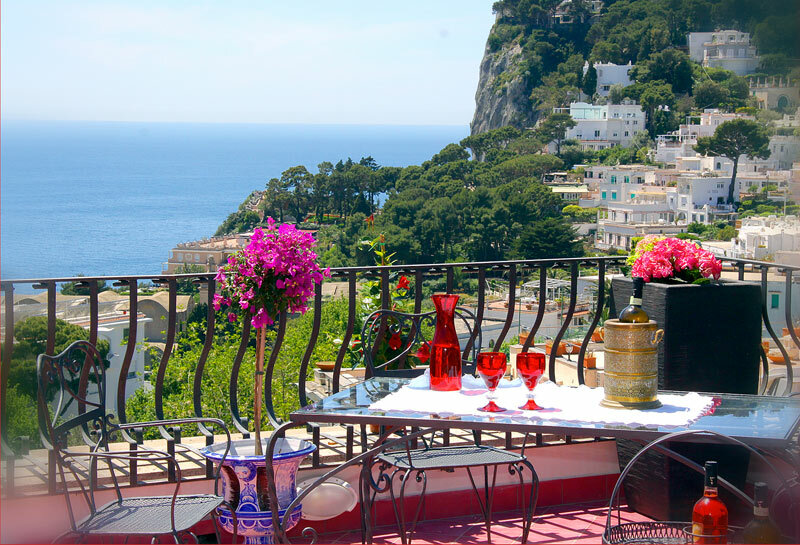 In fact it seems deliberately designed to invite friends for a perfect season in Capri . Only sleeping area with two double bedrooms with balcony and bathroom. To complement any kitchen and room service person. The apartment is 90 m² on the roof terrace of 90 m² and more, Each bedroom has a bathroom opposite the room and king size beds.